Easter is obviously a religious holiday and not one for traditionally giving gifts other than chocolate. However as the world becomes ever more commercialized and people look for an excuse to celebrate literally anything, I thought I would put together a gift guide for your little ones if you don’t want to buy chocolate, either because they are too young or you don’t want them on a sugar rush for days to come. If you are traveling over the Easter period then a few of these items might also be useful distractions for your plane, train or car journey – wrap them up and give them to your children whilst en-route. 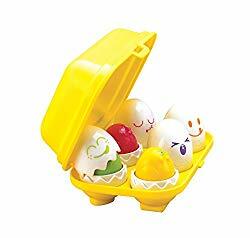 TOMY Toomies Hide and Squeak Eggs – I bought these for Mackenzie last Easter and she is obsessed with them, just like every other kid I know. 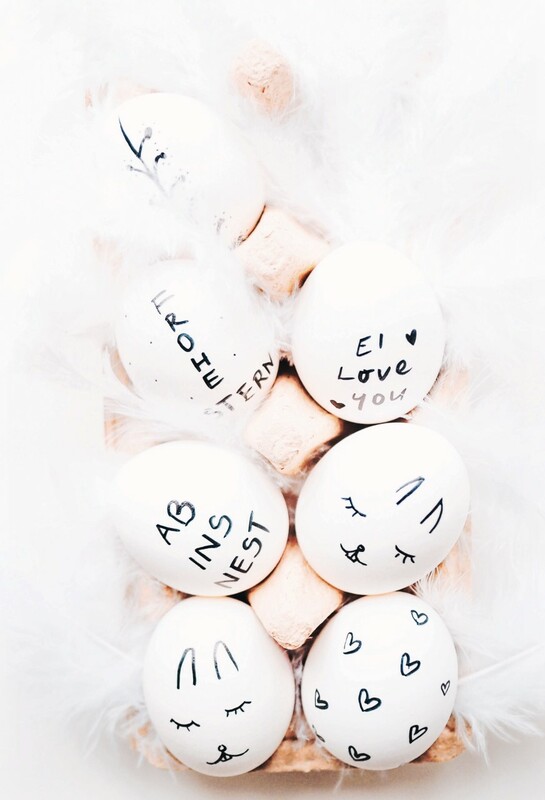 There is something about putting all of these eggs in the right place with the right color that keeps children enthralled for ages. I’m confident that you will not regret this purchase. 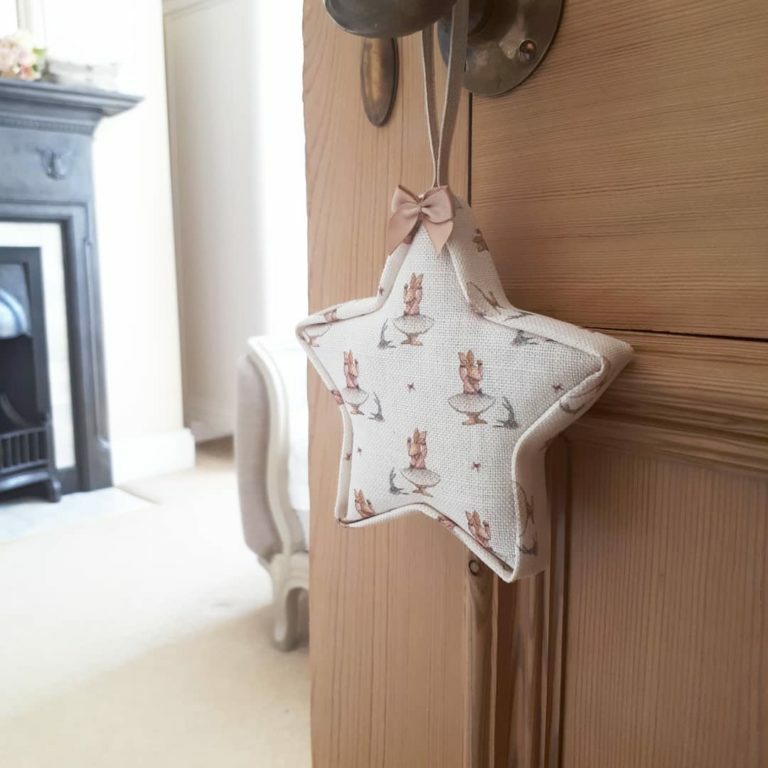 Fabric Hanging Stars by Peony & Grace – I met this lovely lady at the York’s Insta Meet earlier this year and we have been Insta friends ever since. I love the items she creates and I thought this fabric door hang adorned with bunnies was absolutely beautiful when I spotted it online recently. Support a small business and buy something gorgeous that your little ones will cherish. Easter Basket – Because your little one will need a place to store ALL THE THINGS. These Liewood Rabbit Rose Fabric Basket are gorgeous (there is also a grey version available) and they will help you tidy up all of the mess and clutter! 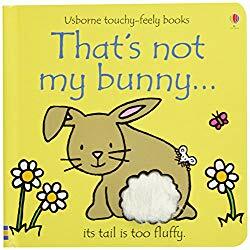 Books – You can never go wrong with books and I know lots of toddlers whom enjoy the ‘That’s not my …‘ series. I thought the bunny and chick editions would be perfectly appropriate for the Easter holidays! 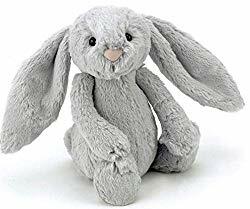 Jellycats Bunny – My toddler has recently become infatuated with her soft toys and we literally cannot leave the house without an armful of them. Having said that, I was exactly the same as a child and had a bedroom full of soft toys! 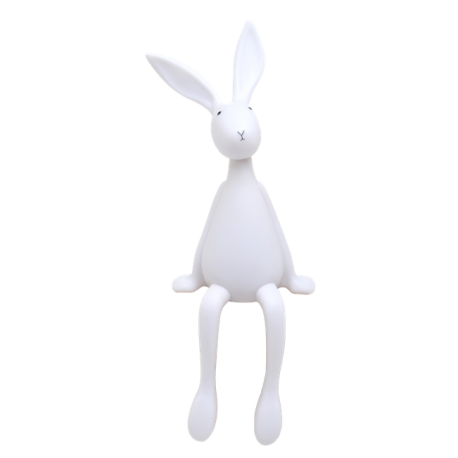 I cannot get enough of the Jellycat bunnies – they have a huge range and are a great collectible. Crayonbox Bunny Crayons – I know a little girl who would like these ALOT. The gorgeous bunny crayons are made by a UK small business and are super fun with their bright colors. Rose in April Bunny Night Light – This is quite possibly the cutest night light that I have ever seen. A night light can potentially be used for years to come and therefore is worthy of the investment. If you are looking for something a little more budget friendly then ALDI has these cute Rabbit Night Lights. Soaps and Bath Products by Lush – Baths are a part of everyday life when you have children, so why not make the Easter bath time routines a little fun with these excellent products from Lush. There are heaps to choose from but I think my personal faves would have to be Dragon’s Egg and Lamb Bath Bomb. And whilst we are at it, lets not forget something for Mum! I would be very pleased with The Beauty Egg from Lookfantastic which is filled with lots of marvelous treats that won’t go straight to the hips!